﻿ Cristiano Ronaldo: "Not winning La Liga? It doesn't even cross my mind!" 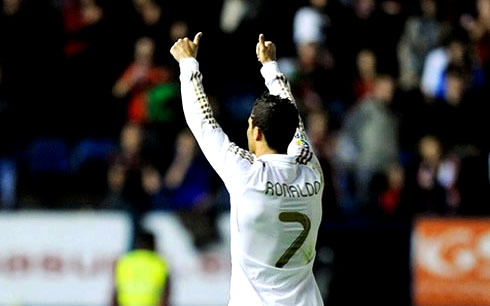 01.04.2012 » Ronaldo: "Not winning La Liga? It doesn't even cross my mind!" Real Madrid is 6 points ahead of Barcelona and the simple thought of seeing the Blaugrana turning things around is something that Cristiano Ronaldo doesn't even consider at this stage. The Portuguese player hailed his teammates, as well as he pointed out that Real Madrid is currently on a great form and are going with everything they have in La Liga and the UEFA Champions League. Cristiano Ronaldo spoke a few words after the brilliant display against Osasuna last Saturday night and assured that he's delighted with the prospect of winning La Liga this season. As usual, Ronaldo stayed away of any negative thoughts, disclosing that the idea of losing the title to Barcelona at this stage, doesn't even cross his mind. The Portuguese forward leads the Pichichi standings with 37 goals (one ahead of Lionel Messi) and has a total of 10 assists at the end of the 30th fixture in the Spanish League. With last night's performance, Cristiano Ronaldo made sure he ended March in style, as he added another 2 goals and 2 assists to his stats this season. An absolute rocket 35 meters away from goal, as well as his first goal from a free-kick strike in the Spanish League this year, weren't enough to satisfy Ronaldo thirst for excellence this weekend. The Portuguese ace also made two great assists from left-foot crosses, which somehow illustrated Real Madrid's superiority and good form against Osasuna, in the dawn of the decisive months in La Liga and the UEFA Champions League. Cristiano Ronaldo: "I'm convicted that we'll win La Liga this year and the thoughts of not doing it, don't even cross my mind! We're in a good position at the top of the league, keeping a safe distance for those who are chasing us. However, there are still many games left and we have to remain confident that we'll win at the end", said the Portuguese player to the journalists, just after Real Madrid ran over Osasuna by 1-5 in Pamplona. Cristiano Ronaldo: "Just as I said before we faced Osasuna, this was simply another game we just had to win. There are now 8 games left and we know we have to keep winning them, because Barcelona isn't that far from us...", alerted the Real Madrid forward, probably aware that the Merengues will visit the Camp Nou in just 3 weeks and that it can very well turn out to be crucial reaching the Clasico with at least a 4 points cushion advantage. 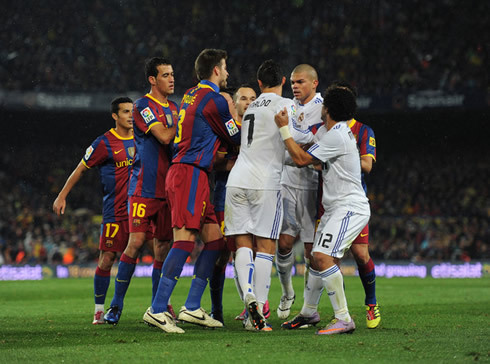 The Portuguese player kept commenting the game held in the "Reyno in the Navarra" stadium, noting that Real Madrid has done their job superbly. Cristiano Ronaldo: "We knew the game was going to be difficult, specially because Osasuna is typically a very tough team when playing at home. However, we played very well right from the start and we managed to win the game, which was our main objective of course. This year, things have been different from last season and I'm truly happy because we won and everything went well for us. What has happened last year is past already. We're in great form this season...", pointed out the Portuguese. This Saturday's game against Osasuna was certainly prone in providing moments of pure brilliance, as both Karim Benzema and Cristiano Ronaldo scored terrific goals, that will likely be serious contenders in anyone's "Goal of the Season" gallery. 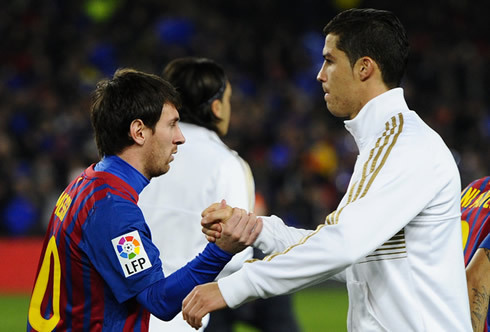 José Mourinho labeled them as "out of this world", but Ronaldo preferred to shift attentions from himself and praised his teammates. Cristiano Ronaldo: "I never set myself a limit and I'll just try to score as many goals as possible. I'm very happy because things are working out well and I have to thank my teammates for that. We're leading the league, we're confident and the players that are coming from the bench are having a positive impact, as it was the case of Granero against Osasuna and Nuri Sahin against APOEL. The squad is simply terrific and we have to keep going like this in La Liga and in the UEFA Champions League", remarked CR7. On a curious note, the Portuguese player also commented the peculiar way of celebrating his rocket goal against Osasuna, as he decided to pull up his shorts, to show his right leg muscles. Ronaldo: "It was a joke we have with Adán, because he never goes to the gym to workout his legs. We were just kidding with him...", revealed CR7, by explaining that the meaning of his goal celebration was a friendly mocking of Real Madrid's 2nd goalkeeper, Adán. 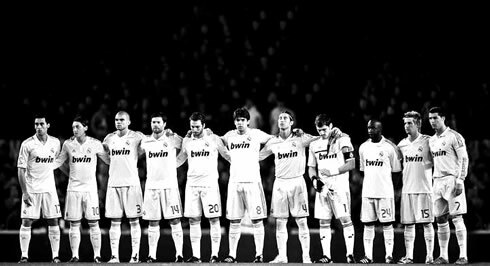 Real Madrid next game is for the UEFA Champions League, against APOEL, this next Wednesday (04-04-2012). You can watch Juventus live stream, Real Madrid vs APOEL, Barcelona vs Milan, Blackburn Rovers vs Manchester United, all from our soccer live streams section. 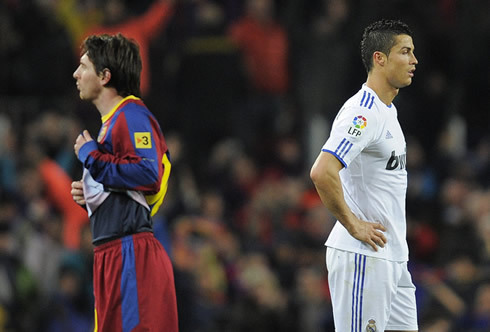 Cristiano Ronaldo is expected to be on the line-up when Real Madrid hosts APOEL, next Wednesday.